Live concert footage of Gram Parsons and Emmylou Harris with their band the Fallen Angels on tour recorded February 24, 1973 at Liberty Hall, Houston Texas Also includes a 1973 broadcast of the Clarence White Guitar Workshop with Bob Baxter from the KNXT studio, Hollywood California. 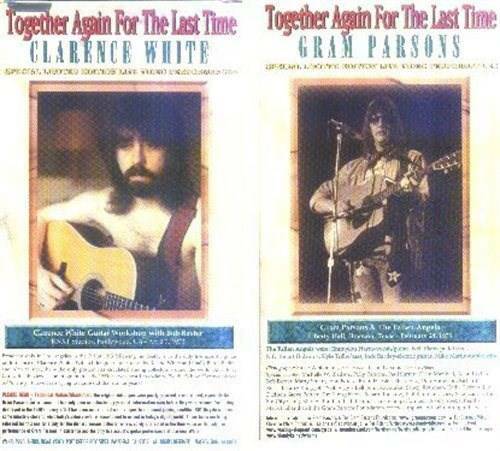 This video combines rare footage of Clarence White and Gram Parsons from two separate performances, not playing together, but performing with other musicians in two very different contexts. 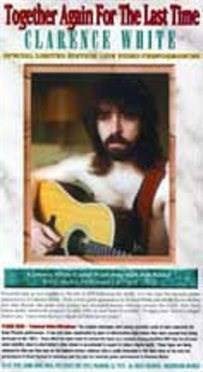 The Clarence White part is in much better audiovisual quality, presenting a 25-minute color episode of the television program Guitar Workshop, which spotlighted White as the featured guest. Filmed on April 7, 1973 (but not broadcast until after White's death, and then only in Los Angeles), this might be of more interest to guitar players than general White fans since it focuses on White's technique. Goaded by host Bob Baxter, White demonstrates some of his flatpicking and offbeat-tempoed skills on acoustic folk songs, with accompaniment from (in various combinations) Baxter on guitar, brother Roland White on mandolin, Byron Berline on fiddle, and Alan Munde on banjo. Baxter does his best to draw out commentary from Clarence White, but the guitarist is taciturn to the point of colorlessness. The same could not be said of his guitar playing, though, and since this is the only live footage of White on acoustic guitar, it has considerable archival value. White fans are likely to be interested in the Parsons segment, as well, since the two guitarists worked with some of the same collaborators during their peak years. 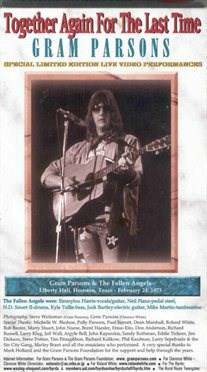 The Gram Parsons portion is a 15-minute clip from his February 24, 1973, show in Houston fronting the Fallen Angels, with Emmylou Harris on harmonizing vocals and guitar (though she's usually just singing, without playing guitar). The availability of this footage is historically important since there's not much of Parsons on film, but also disappointing as a viewing experience due to the pretty rough technical quality. To be fair, the outer sleeve does note in small print that "the original videotapes were poorly recorded, crude at best, especially the Gram Parsons performance." But it should also be known that the Parsons clip is in fuzzy black and white, with mediocre sound at best, and fades out partway through &"Six Days on the Road," although the band does play and sing well.